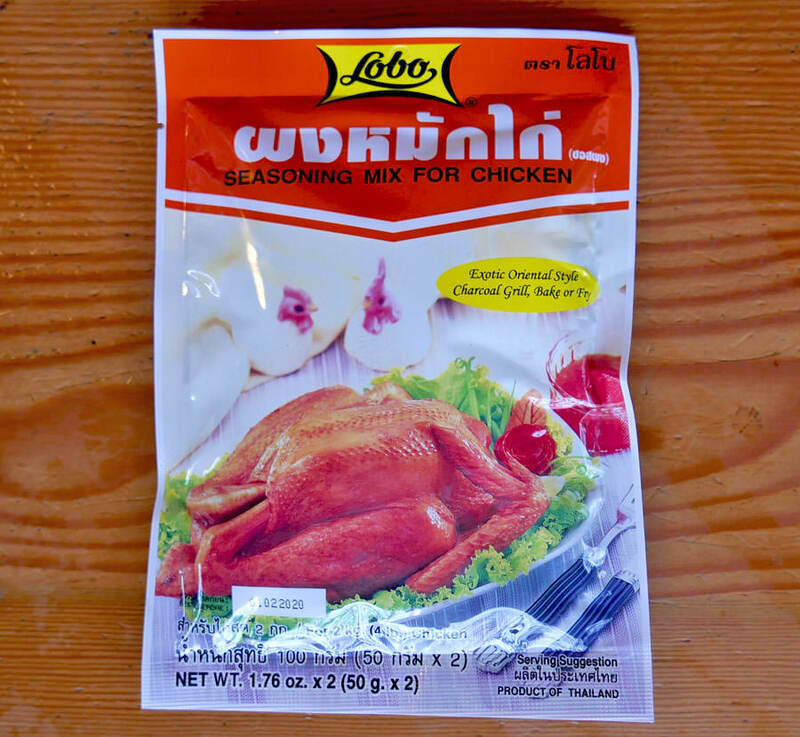 A quick and easy Thai-style chicken seasoning mix that can be used for baked, bbq, grilled or fried chicken. In each envelope you get two individual packets. Dissolve contents of one packet with 1/4 cup water, then soak and rub on 2 lbs chicken. Marinate one hour before preparing chicken. Ingredients: sugar, soy sauce powder, salt, spices, soybean oil, silicon dioxide as an anti-caking agent. No artificial color, no msg, no preservatives. Product of Thailand. We suggest serving Thai chicken with sweet chile sauce.